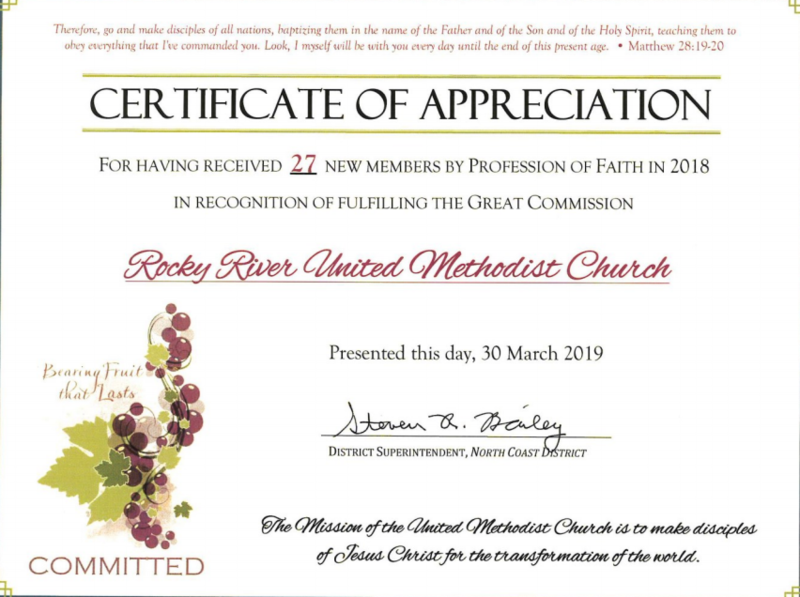 Certificate of Appreciation for receiving 27 new members by profession of faith in 2018. Certificate of Appreciation for paying 100% of our district apportionments in 2018. Thank you to all of our members who give to support a faith-filled and growing church. We are making a difference in our world today! Newer PostJoin Us for Upward Basketball Camp!